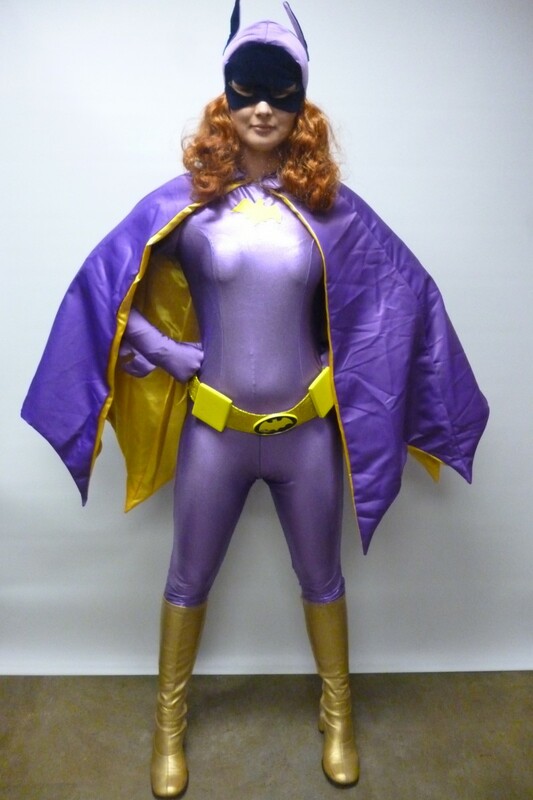 This retro Batgirl costume is perfect for a Superhero or 1960’s party. 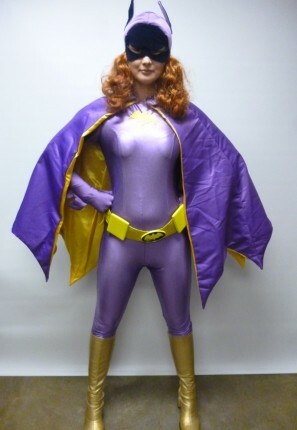 Costume comes with jumpsuit, cape, belt, gloves and mask with attached red hairpiece. Boots are optional and extra.